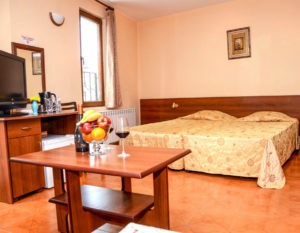 Studio is a large bright room (around 30 squares), which includes all amenities. 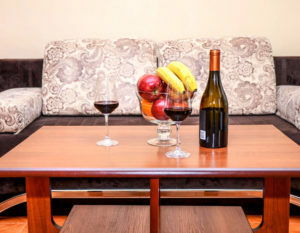 The large bed and the big luxurious sofa with a table give the opportunity for a person to feel comfortably. 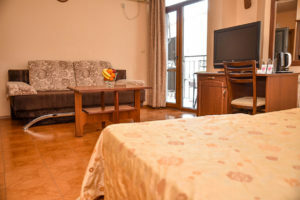 The studio is suitable as for 2 and for 4 adults, or a family with children. 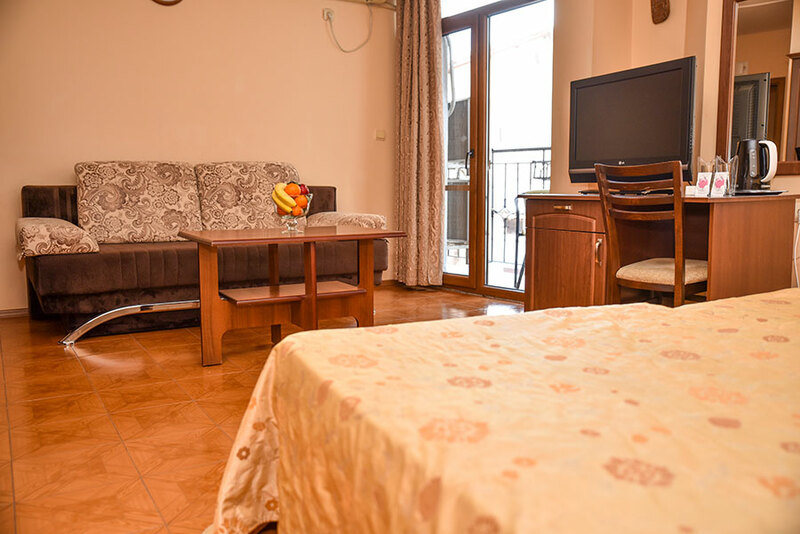 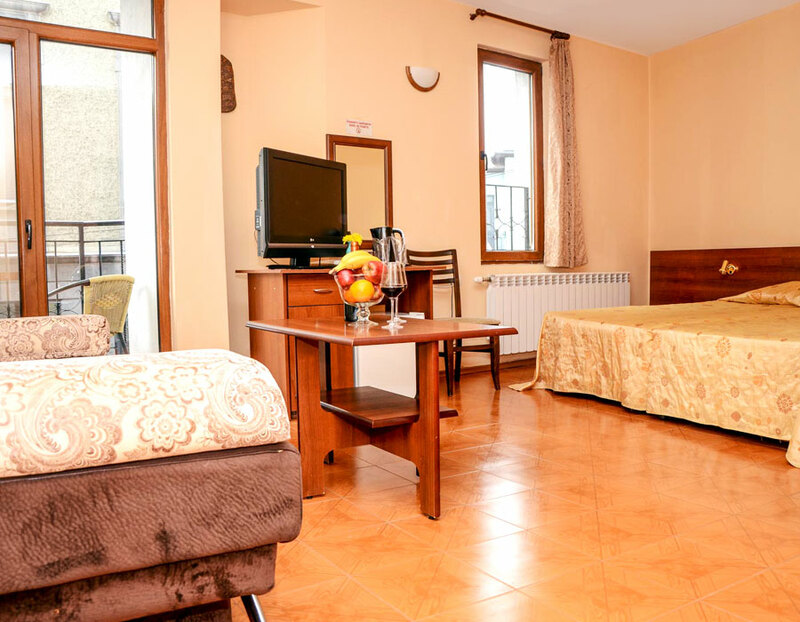 The room have LCD TV with cable television, air conditioning, central heating, Wi-Fi, bathroom, refrigerator, kettle for hot water and a terrace, which is with a view towards the cathedral and the old-time street “Nikola Pikolo”.